Legitimate Businessman. President of the United States. And now Televangelist. 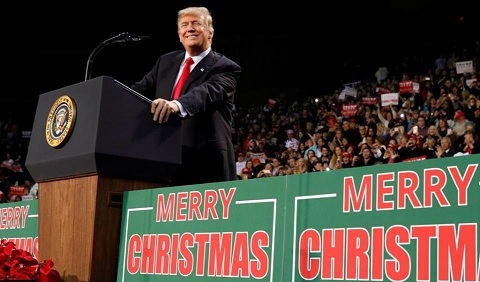 Donald J Trump has tweeted that we're all saying Merry Christmas again. Note to Ops: Seasons Greetings!